I wanted to revisit this topic (maybe this series will just continue indefinitely! But this post ought to be brief) as I’ve been reading some material on-line lately that I think could be cause for confusion. I should preface this post by noting that I do recognize that parental involvement in exploring and guiding is crucial. One can’t run a unit without the parents who volunteer their time and energy to fill the many roles required in a well-functioning den, troop, or company. What I want to address is whether all parents (especially fathers) should be involved to the point at which they are all effectively leaders in their children’s (especially their sons’) units. Exploring (or what Lord Baden-Powell called “scouting”) isn’t fathers taking their boys camping. This is not to say that there is something wrong with fathers taking their sons camping — there isn’t, in fact it is a fine thing — but let’s call it what it is: family camping. 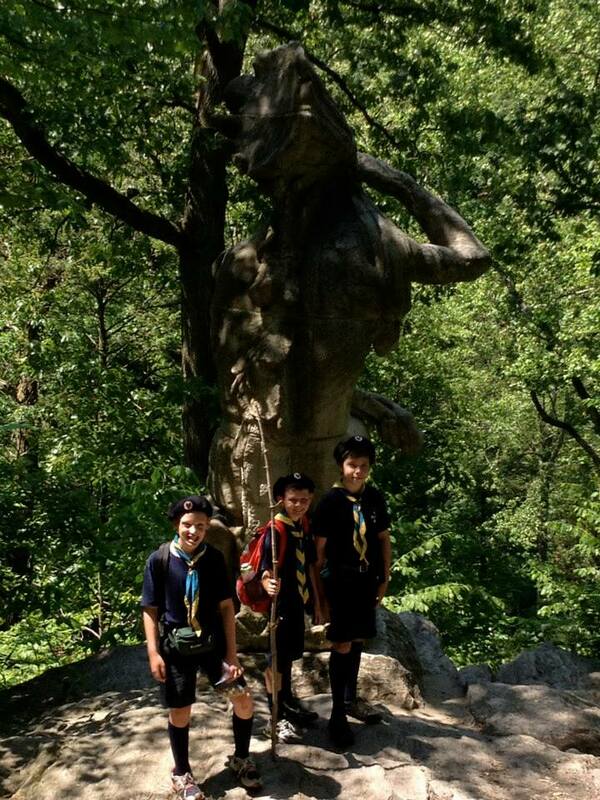 As Baden-Powell wrote in Aids to Scoutmastership, exploring is “a game for boys under the leadership of boys, in which elder brothers can give their younger brothers healthy environment and encourage them to healthy activities,” and “a jolly game in the out of doors, where boy-men and boys can go adventuring together as older and younger brothers, picking up health and happiness, handicraft and helpfulness.” That is, the boys are led by other boys (in girls’ units, the girls are lead by other girls), ideally those who are older and more experienced, while the leaders are present to give advice, direction, ideas, and generally facilitate the playing of the game. (It goes without saying that younger boys need considerably more direction than older boys!) We see the genius of that particular method in which units are divided into patrols each of which is comprised of a range of ages. Children often learn best by doing things for themselves, and in order to do things for themselves they have to be able to make mistakes, they have to be able to try and fail. Without the possibility of failure there is no real success. This is not, by the way, unique to exploring, but is a general principle of youth ministry. But our emphasis on the outdoors (God’s creation is our primary textbook) can give some parents particular qualms about letting their children learn for themselves. The outdoors is, after all, dangerous — and I say that without my tongue in my cheek. Some parents can find it difficult to let their children make mistakes when a mistake means a scraped knee or a loose tooth! Still, exploring is a safe activity and its safety is not enhanced by the presence of a multitude of parents. Again, this is not to say that parents should not be involved. An Explorer unit could not run without the help of the parents in it and we appreciate all the help that a parent offers. But parents do need to take a step back and let their kids work things out on their own, or better yet under the guidance of older kids.